The teaching staff at Montessori Children’s House is carefully selected and directed by the Principals of our schools, to provide children with a higher quality of education. All Montessori Children’s House teachers have four-year college degrees and are State Teaching Certified. Our teachers are fully trained and certified in the Montessori Method, credentialed by either the American Montessori Society or the Association Montessori Internationale. Our experienced teachers guide and facilitate the child’s learning by serving as a skillful link between the child and the Montessori classroom. 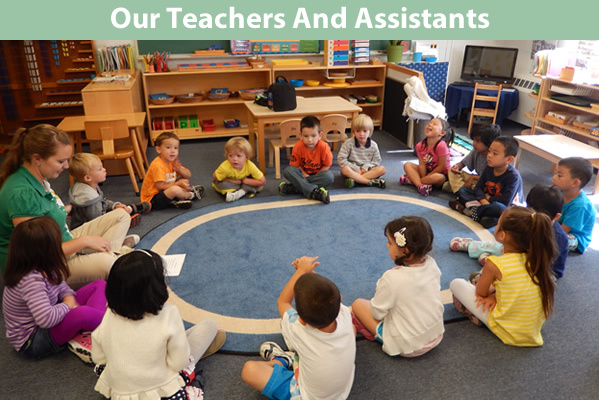 Our classroom assistants are trained by their classroom Montessori teachers, and further their Montessori knowledge through continuing education. Many Montessori Children’s House assistants are pursuing their Montessori certification as well. All of our staff members are certified in First Aid, CPR and Fire Safety, and participate in In-Service training programs each year for continuing education in the field of Early Childhood Education and the Montessori Method and Philosophy.